Alright, so after having done excessive amounts of research on how larges birds fly and all that jazz, I've come up with a rough doodle in Paint.NET. 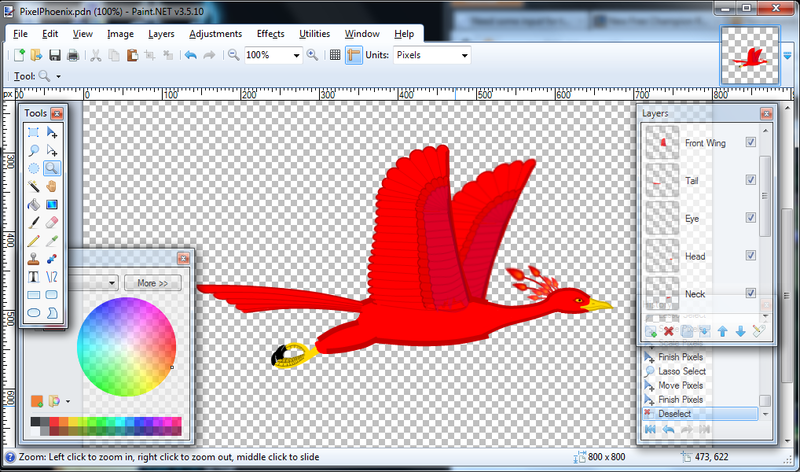 The problem I'm pondering atm: what kind of crest should go on the birdy's head? There's three I'm playing around with so far: the flowing Pidgeot style, the peacock style (shown in the picture), and the backside-only mohawk, as well as combinations of two or three of them. Last edited by KajitiSouls; 2012-02-27 at 11:27 PM. If this is a Maplestory phoenix, those have 3 red feathers flowing back. Sort of like a balding Pidgeot. Otherwise, it could be any of the 3 options you mentioned. Peacock crests are fairly traditional. Nope. I haven't looked back at that game for nearly two years now. iirc, they have a gay yellow stripe that runs along the transverse plane of their bellies. How many large birds have you seen actually fully stretch their wings in an 80 degree or higher arc above them while in cruising flight? This is a problem of perspective, and I'll admit that the wings look less than grand. WHITE IBIS ARE PRETTY WEIRD WHEN THEY FLY THOUGH, OR AT LEAST WHEN THEY'RE TAKING OFF. Thanks for the video. I was thinking about how to approach my project, and it seems as if it coincides a lot with what that animator is saying. There's a couple of things I disagree with in his generalized bird wing anatomy however. Plus, the final product is going to be in pixel. It's probably unorthodox, but this kind of doodle will only exist for one key frame or two. I'm mostly gonna wing it for in-between frames. Guess I'm going to have to try a bunch of things for the head, since so far I haven't gotten enough opinions =/ Thanks anyways. Personally, I'm liking the peacock's crest, Kaj. I think the reason Pidgeot's flowing style looks so good on the Pokemon is because it has such a short neck. With a long, slender, regal neck on this bird, the peacock crest better matches the dimensions. And while, yes, it's more traditional to some extent, its looks great the way you've drawn it! The drawing as it is in the OP reminds me of the phoenix from Harry Potter: Chamber of Secrets, as well as Ho-Oh. Love it. I just realized that the long neck will make the bird look awkward when it's just standing somewhere. That's a no go >.< At the same time though, standard neck length of any non-wetland bird doesn't make this elegant. 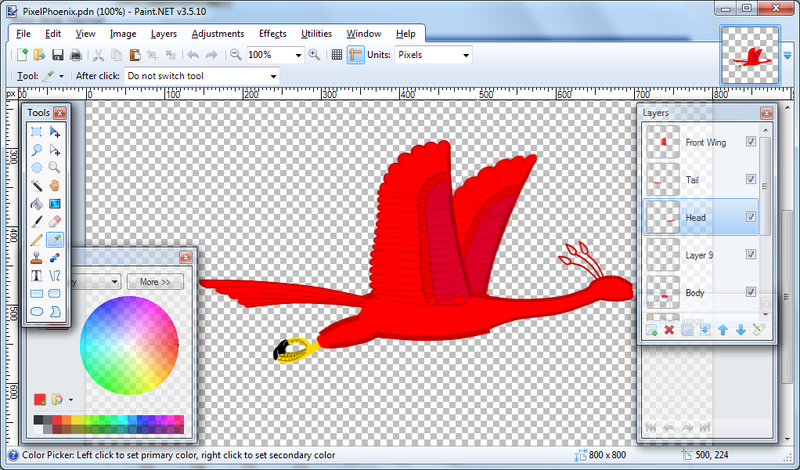 Gonna need to find a compromise, or do something with the legs + tail feathers, dunno. EDIT: Hmm, I'd say it's an improvement, though I'm sure I can do better. Last edited by KajitiSouls; 2012-02-27 at 11:26 PM.